Wine & Dine, July 2015. Singapore. TODAY, 18 August 2014. Singapore. 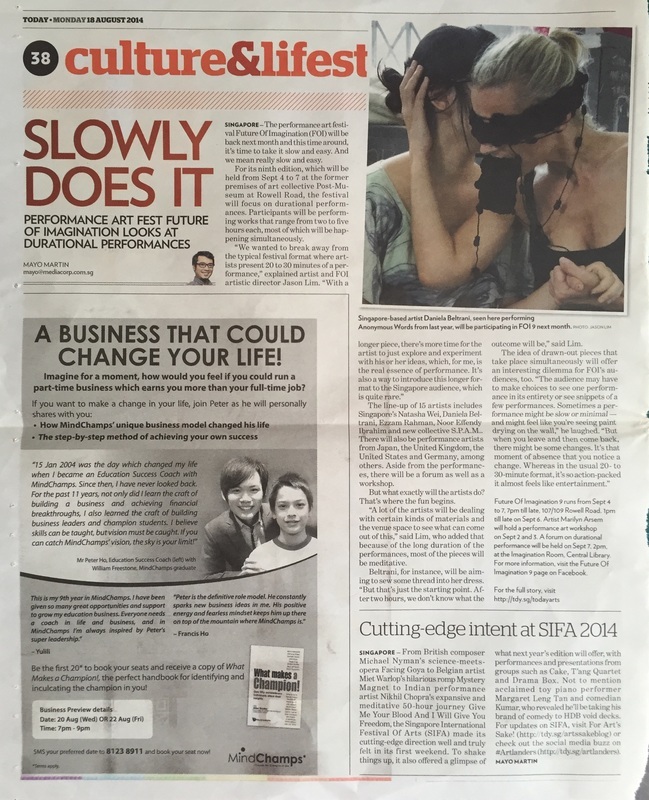 The Straits Times, 28 August 2014. Singapore. Tempo, 22 September 2013. Indonesia. Tempo, 15 September 2013. Indonesia. The Finder, June 2013. Singapore. The Nanyang Chronicle, Vol 18, Issue 3, 19 September 2011. Singapore.